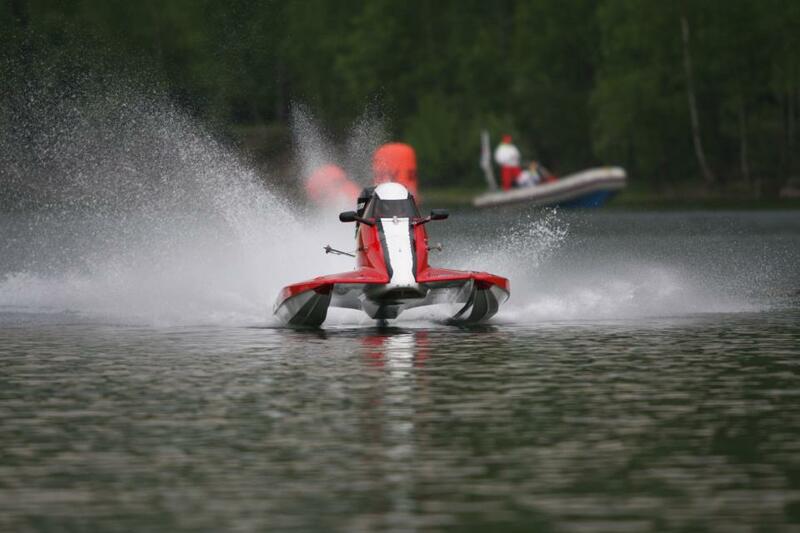 It all started when Oskar Samuelsson, just a few years old, got his first radio controlled race boat in the beginning of the 90’s. Back then Oskar lived in a village outside of Paris with his family. His father, Klas, has always had a genuine interest for automobiles and boats, when living in Paris the rc boats was the way to express this interest. The dream of racing full scale boats one day was born. In the beginning of 2002 Oskar and his father meet the Swedish racing legend Pelle Larsson at an exhibition in the center of Stockholm by a coincidence. Pelle gave Oskar the chance to sit in his boat and provided information about how to start racing. Later that year Oskar had bought his first race boat, a Fugetive, a classic Swedish raceboat, with a 15 HP Mariner. In June 2002 Oskar drove his first race at Grisslinge Havsbad in Sweden. Eventually Oskar ended up racing monohull classes until 2006. During these years Oskar established himself into the sport and found a lot of joy and friends. In 2004 Oskar meet the Swedish F1-star Pierre Lundin for the first time during a race in Gothenburg. Pierre, his brother Christian and father Hangry would become to be of great importance for Oskar’s continued career, providing a great deal of support and mentorship. Between the years 2006-2012 Oskar raced for the Lundin F1 Racing team. 19 years old, in 2007, Oskar made a sensational start to his racing career in formula racing and he finished third in the Scandinavian F4 Championship in his rookie season after several podium finishes. The successful first season in formula racing was followed up by several successful seasons where the résumé includes three World Championship silver medals, one ADAC German Championship silver medal and two bronze medals from the Scandinavian Championship. Oskar during Berlin GP in 2008. However, the most successful season so far was the one of 2010. During a F1H2O race in Saint Petersburg in Russia Oskar meet the former F1H2O World Champion Fabrizzio Bocca. Oskar was asked to race for Bocca’s Team Rainbow in the F4 F1H2O support world cup. The Rainbow Team is a multiple F1H2O World Champion team where many famous drivers has raced such as Scott Gillman, Pierre Lundin, Jonas Andersson, Marit Strömöy, Francesco Cantando, Ivan Brigada to mention a few. The season started of quite well, Oskar won the only Swedish national race that season before he took off for the World Series. During the races in China, Qatar and UAE Oskar eventually won 6 out of 9 nine races and had pole position in 8 of 10 qualifying sessions. Finally Oskar was crowned to be the first champion ever of the F1H2O support class! 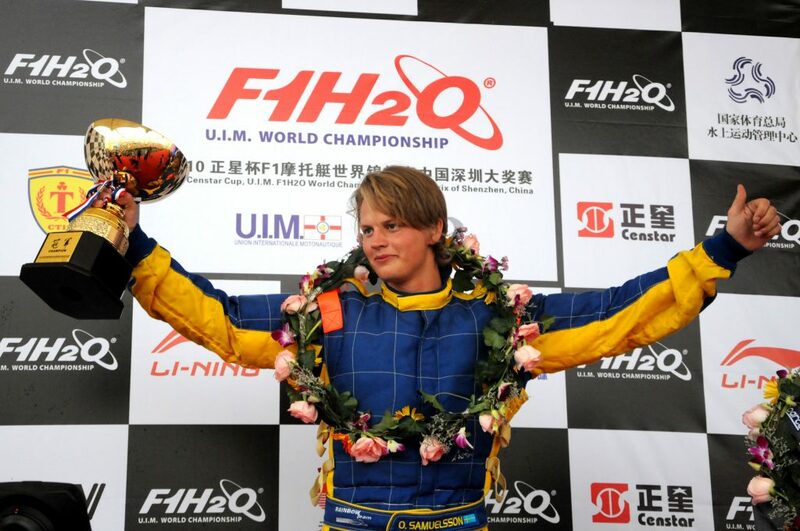 Oskar after winning the Grand Prix of Shenzhen 2010. 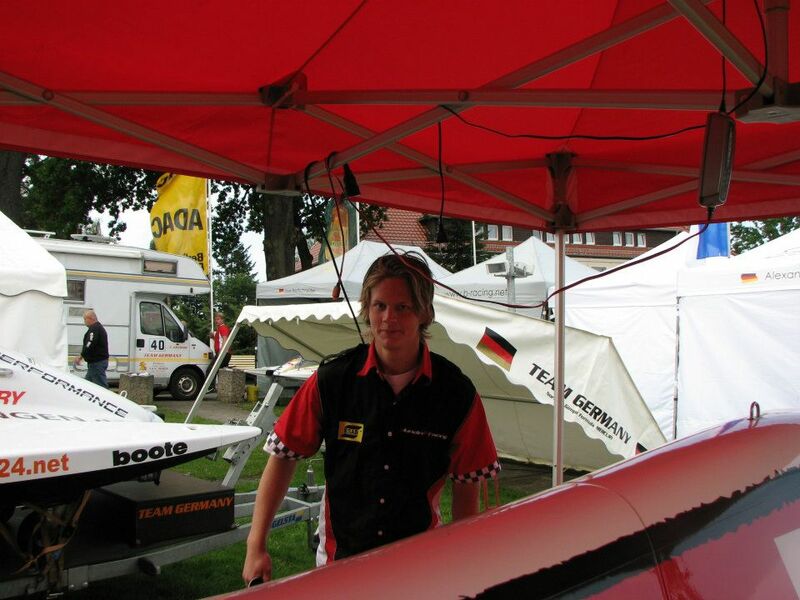 Now aged 28, and 14 years after Oskar’s first contact with the sport of powerboat racing, Oskar has made his debute in the Formula 2 class, just that kind of boat Oskar was padded down in back in 2002. Hopefully new chapters of success will be written soon in this biography!